PORTLAND, Ore. – August 14, 2014 – There’s a first time for everything, and in the case of the Oregon Brewers Festival, it was a downpour on opening day. The 27th annual Oregon Brewers Festival took place July 23 through 27 at Waterfront Park in Portland. And while the rain kept some at bay, the mud puddles quickly dried and by the end of the weekend, attendance numbers rivaled those of the year before, coming in at 85,000 attendees. Beer lovers came from across the nation and around the world to join in the celebration; they included a group of brewers from The Netherlands who were invited to pour beer in the festival’s Specialty Tent. Event founder and director Art Larrance heralded the relationship a natural progression in the evolution of craft brewing worldwide, and announced plans to bring in brewers from New Zealand in 2015. Amidst the celebration, the festival took time to honor the memory of those who involved in the beer industry who have passed away this year, including Jack Joyce, the founder of Rogue Ales who was to be this year’s Grand Marshal; and Vic Atiyeh, Oregon’s former governor who signed Oregon's Brewpub Bill into law in 1985. The Festival also donated $15,000 to The Dougy Center, a Portland non-profit that benefits grieving children and families, during the event's opening ceremonies. Beer lovers enjoyed 88 beers in the main tents, and another 100 rotating beers in the Specialty Tent, which featured vintage, barrel aged, blends and one-off beers from the participants. All beer was served in tasting glasses, a change that was implemented last year to allow consumers to fully enjoy the sight, smell and taste of their beer. It has been announced that the Portland Police Bureau is requiring the festival to do away with glass in the future; the festival is currently working with a vendor to procure a high-quality clear plastic mug. In addition to beer tasting, there was live music all five days, food from six area restaurants, homebrewers brewing beer on site, and a collection of beer-related vendors ranging from wooden beer steins to glass blown pints to kilts. Minors and designated drivers received complimentary cups of handcrafted root beer in the Crater Lake Root Beer Garden. Nearly 1,800 beer fans took advantage of the Hopworks Urban Brewery bike corral, where their bikes were monitored for free while they enjoyed the festival; their tips raised $500 for End Polio Now. The festival employed more than 2,200 volunteers to pour beer, sell tokens, and aid with recycling education. The Oregon Brewers Festival was founded in 1988 as an opportunity to expose the public to microbrews at a time when the craft brewing industry was just getting off the ground. Today, that industry has succeeded, especially in Oregon, where 173 brewing companies operate 214 brewing facilities in 70 cities in Oregon. Portland has 56 breweries — more than any other city in the world – and the Portland metropolitan area is the largest craft brewing market in the US with the most number of breweries at 76. The total economic impact from the beer industry on Oregon’s economy is $2.83 billion; the total annual economic impact from the Oregon Brewers Festival in 2013 was $31.2 million. 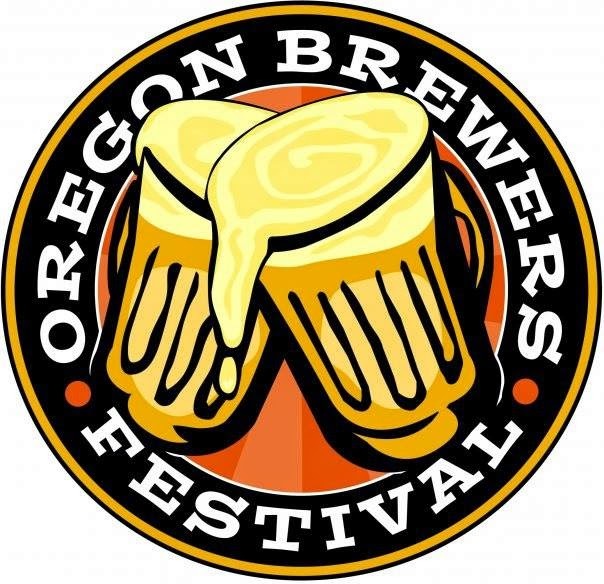 The Oregon Brewers Festival always takes place the last full weekend in July. The 28th annual event will take place July 22 through July 26, 2015. For more information, visit www.oregonbrewfest.com.